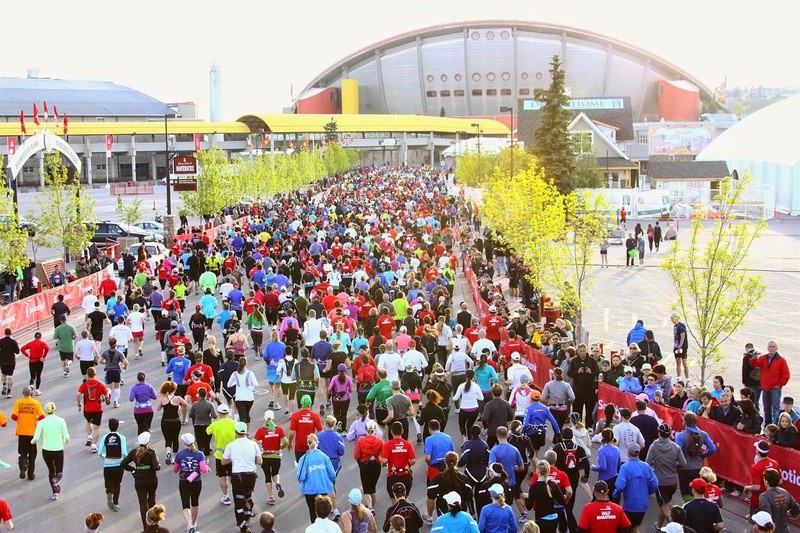 In 72 days I will be taking on the Calgary Marathon's 50k race. I am familiar with the route from previous years, having run the Marathon and Half, but this year is going to feel completely different. I wonder if there are many race weekends where over the years you can graduate from 5k to 10k, to Half, to Marathon to 50k? Now that's something special. Route: A simply gorgeous start to the race. 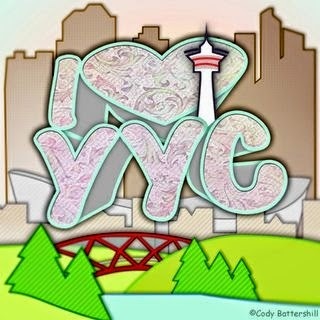 Leave Stampede, pass the zoo, run through Bridgeland and the edge of East Village then head for downtown. Note: Elvis was spotted on the bridge before the zoo last year, high fives are in order if you see him. As you pass the zoo look closely, the tigers are near the edge as you turn onto Memorial Drive. Rawr. The East Village has an epic cheer station, you will be tempted to hang out with them - do not - we will pass through this spot again later on! My Plan: Keep pace nice and easy, don't go out too fast. Check pace often. Focus on breathing. Route: Leaving downtown pass through the beautiful green neighbourhoods of Elbow Park & Altadore, crossing Crowchild Trail and heading through the grounds of Mount Royal University. Note: There are beautiful houses through this section, say hello to the residents who hang out on their lawns to see you. Between km 13-14 we will pass a huge green park, I bet you'll see some fun cheering groups, last year there was a gang of hula-hoopers! As we pass through Mount Royal, consider Mayor Nenshi who taught there before assuming his current more stressful role. My Plan: Some hills through this section, run them steady. The second 1/4 is usually a tough part of the marathon for me, challenge myself to stay on track mentally. Do not contemplate distance remaining. Route: The lovely older neighbourhood of South Calgary followed by an energizing downhill to 17th Avenue downtown. Cross the deep blue Bow River and run through Kensington. Note: An area with lovely grand old houses, maybe the residents will be out with hosepipes if it's a hot day. 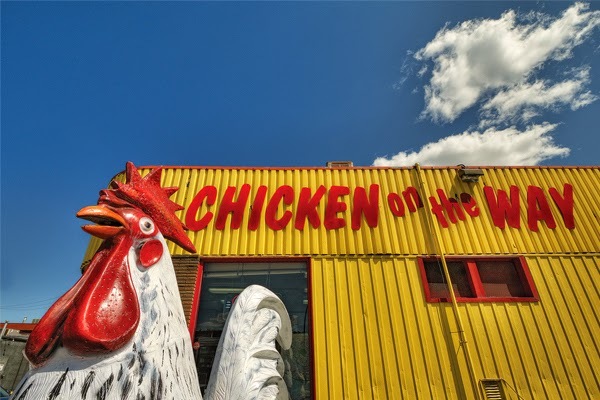 Look for the giant chicken in Kensington (stop for a chicken selfie?) and note the fabulous boutique shops. There is a particularly good cupcake store here, do not be distracted. My Plan: Are we on track for the cut off time? Keep pace steady, except for the downhill - enjoy that part. Weeeeee!! Route: Let's get to know Memorial Drive. Note: To your left (then your right, then your left again) is the stunning Bow River. 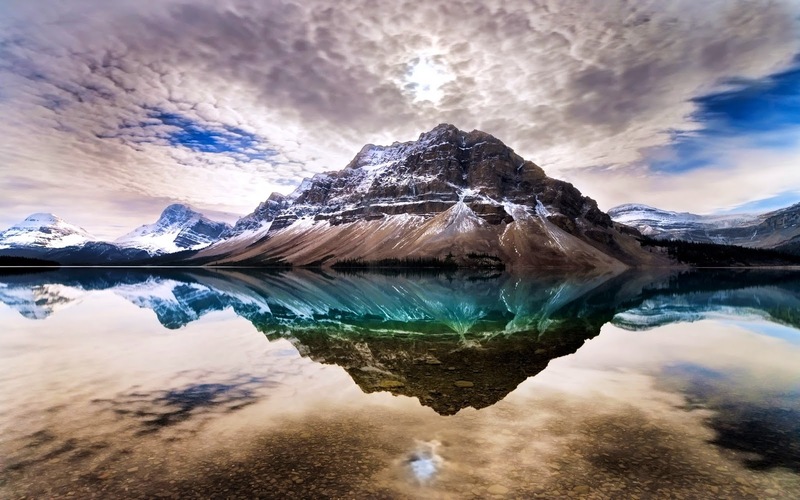 If you were to follow it west you would find Banff, Lake Louise, and following by the wayside on the Icefields Parkway the magnificent Bow Lake, it's source. Hey, who wants to go to the mountains after the race? My Plan: Don't be put off by the repetition, stay positive. Focus on getting the 50k route cut off wristband at 36.6km then think about hitting marathon distance. Notice all the support and signs, high fives, enjoy the energy. Route: Time to follow Memorial Drive east past the Peace Bridge as this journey is in its final stages. Turn south and head for the glorious Stampede Park finish line. Note: First we hit 42.2km, our marathon distance. Awesome. Then we pass the striking red Peace Bridge. Happiest of happies, here is the East Village cheer station again. Save just a little energy for the finish, once you get going the crowds in the Stampede Grandstand won't let you stop. My Plan: Heyyyy marathon - celebrate! Think of how far we've come, enjoy clicking up the kms past 42.2 because that's kind of awesome. Visualize the finish line. Visualize the crowds. Just. Keep. Moving. And...don't forget the little something at the end! My first 50k too, gulp! Your hood rocks! One of my fave parts :) Yep, off we go! This is great! You're going to rock it!! Thanks Kaella! I sure hope so...yikes.